[Review] Thank You For Your Continued Excellence. Patty made our baby shower cake 6 years ago and today we picked up his 6 year old birthday cake. The cake was wonderful as usual. Loved it. Everyone at the party loved it!!!! Thank you for your continued excellence. [Review] Everything I Hoped It To Be! We ordered our wedding cake from Patty’s cakes and it was everything I hoped it to be! The cake was so yummy and the price was extremely reasonable! I highly suggest this place if you are looking for a cake or cupcakes of any sort! The staff is also very helpful and made the process so easy for my husband and me! [Review] We LOVED our wedding cake! My husband and I first discovered Patty’s through Yelp. We love their cupcakes! So when it was time to pick a place to make our wedding cake, we knew we had to go with Patty’s! We came in for a tasting and fell in love with the lemon cake with raspberry and bavarian custard filling. We showed them a picture of how we wanted our cake to look and they exceeded our expectations! We had our florist arrange cascading roses on the cake and it made the cake not only delicious but visually stunning! Thanks, Patty’s! Patty’s Cakes and Desserts – Fullerton, CA, United States. We LOVED our wedding cake! [Review] Memorable Wedding Cake Costa Mesa! Patty’s Cakes are simply the best! Though this vendor was the first we tried for finding a wedding cake, I knew instantly it would be our top choice. Sure enough, three other vendors later, no other bakery compared! We were also so impressed by the professionalism and timeliness of the business, which made it easier for us during our wedding journey. Our wedding cake was not only memorable by its gorgeous design and tiers, but every guest we talked to (even after the wedding) kept gushing on how delicious the cake and frosting was! My husband and I both wholeheartedly agree, and we will be sure to visit again. Thank you again for delivering the perfect wedding cake! [Review] This Is Where The Locals Go! Love!!! Amazing!!! Please give your business to this place! Delicious cakes and the mousse they offer is so much better than typical frosting. Light, delicious, gluten free options if that floats your boat, and I like that they don’t keep the product up front to get stale in a case. This is my #1 cupcake spot. This is where the locals go. [Review] Delicious Company Celebration Cake! My office ordered a full sheet cake with our company logo for a celebration. The cake looked absolutely beautiful but we were expecting.. you know, just eh, the usual. We were all shocked: the cake tasted amazing! It was a marble layer cake with some sort of light chocolate cream (maybe a mousse–I didn’t order it) for the filling and it was covered in whipped cream frosting. The cake layers were light and fluffy but still moist. Almost everyone went back and got another slice. There’s hardly any left. I’ll be ordering my children’s birthday cakes from here, for sure! [Review] They Are The Bomb! I bought a variety of cupcakes for my husband’s birthday and they were all very delicious. I will for sure go back again. They were so friendly, helpful and polite. I would recommend them to anyone for their cake and especially their cupcakes. They are (were) so good. They are the bomb! Very Tasty! [Review] Long time Customer, Love Patty’s Cakes! 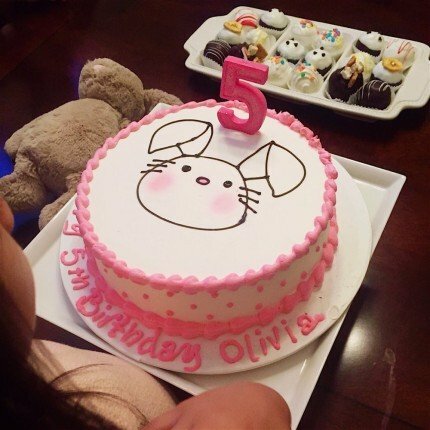 I’ve been ordering cakes from Patty’s Cakes for my daughters’ birthdays for the past 4 years now and their cakes are so yummy. My younger daughter has food allergies and they accommodate my request; dairy free, nut free, and gluten free. Their cake balls and cupcakes are awesome. Every time we have a party we always order either or, or both. Our guests love their desserts. They always ask me where I buy them from. Bethany usually takes my order and she’s so sweet. She helped pick out the design for my daughter’s 5th birthday cake. It was so cute! I highly recommend this place! I consistently have a great experience ordering desserts from them. [Review] Both Regular and Gluten free, Both are Delicious! I have ordered cupcakes from Patty’s Cakes three times now, and every experience is great!! I have had both regular and gluten- free. Both are delicious!! [Review] If We Need A Cake, Patty’s Cakes Is First! Patty’s cakes are not only the best in town but Patty and her staff is more than just friendly, they will go out of their way to be sure you are happy and everything is done right. I mostly get their cupcakes, love the lemon drop, so light and I’m sure has fewer calories. My husband likes the choc. with choc. fudge. If we ever have a party to need a cake she will be the first to call. Until then, we will just be regular cupcake purchasers. We have known Patty for at least 30 years and she is just a sparkle of joy. We wish her and staff many more years of success.